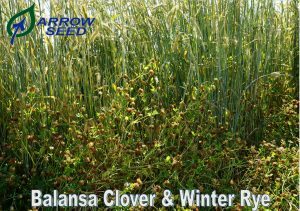 Fixation Balansa Clover is a new variety of annual clover that outperforms most other annual clovers on the market. 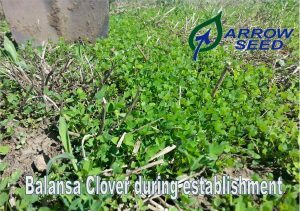 Fixation Balansa Clover is a cool-season annual legume that is the most versatile of the annual clovers, capable of high performance on numerous areas such as fixing new nitrogen and smothering out weeds. The potential of producing up to 5,200 lbs of biomass per acre makes it a perfect fit for adding organic matter back to your soil. A deep taproot structure helps create new channels for following crop roots to follow, allowing them to reach deeper with less energy used. 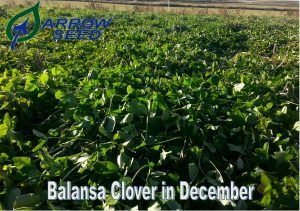 Fixation Balansa Clover can also produce up to 100 lbs/Nitrogen per acre which equates to around a $42/Acre value in just the nitrogen alone!